Collins Business Dictionary describes “soft skills” as desirable interpersonal skills that don’t depend on acquired knowledge. So, perhaps not the knowledge necessary to program an app – but an ability to discuss how to improve an app with the design team. The need is so urgent that some top companies are paying for employees to learn soft skills on the job. Yet which skills are seen as falling under “soft skills” can differ, depending upon whom you ask. Business executives rank integrity, communication, courtesy, responsibility and social skills as top skills. Interestingly, most soft skills rely on what are conventionally perceived as communication abilities – including teamwork and collaboration, social skills and interpersonal communication. More directly communication-related, a recent employer survey noted that to succeed within a company, new hires should be able to use proper grammar, possess conversational ability, actively participate in meetings and in team communication, and speak well on the phone, according to a 2016 Business and Professional Communication Quarterly study. 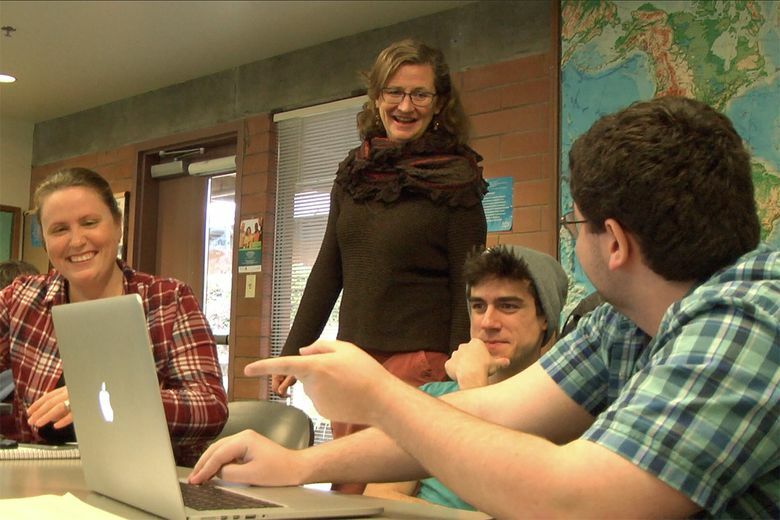 Even soft skills that fall outside of these – such as organization, punctuality, critical thinking, adaptability and creativity – have a communications-related facet, points out Brooke Zimmers, a communications studies instructor with Shoreline Community College. Here are the most useful communication skills for both employers and employees. Interpersonal skills. Unlike many of the noisy, confrontational dialogues that take place online or in the public arena, true interpersonal skills for workplace success seek common ground and equality, not winning debates. Learning collaborative approaches to problem solving assists employees in discovering solutions when facing conflict in the workplace. Listening skills. Listening involves empathy, observation and compassion, which can help in unusual ways. Take initiative, for example. Employees need to listen carefully to direct instructions, Zimmers points out. But they might use advanced communication and listening skills to infer what else needs to be done. Public speaking skills. Fear of public speaking can impact your career, whether you’re declining invites to promote your product or business, or avoiding presentations for your superiors. Through classes and coaching, students can learn how to organize and present a speech, select a topic appropriate to the audience and develop content. Small-group communication skills. A proficiency with leading or navigating a small classroom group also ports to the workplace. In Shoreline’s Introduction to Communication class, students work on brainstorming, decision making, problem solving accomplishing tasks and understanding different types of social groups, along with leadership skills. 21st century workplace skills. “In the business world, you’ll interact daily with bosses, clients and customers from a variety of backgrounds, including age, race, class, gender and sexual identity,” Zimmers says. Shoreline’s Intercultural Communication and Introduction to Multicultural Communication for Social Change classes examine how power and privilege manifest in relationships, and strategies to navigate and challenge systems of privilege and power. While some students feel they don’t really need to take communication classes, Zimmers cautions that great communication skills aren’t usually explicitly taught to anyone. Instead, communication skills often are absorbed from family, educational systems and society at large, and not all of them are functional or failure-proof. While it’s possible to learn communication concepts via textbooks and blogs, it’s also possible to intellectually understand how to talk on the phone in a confident, assertive manner, but then dealing with a confused, irate or difficult customer on the phone is another. Soft skills might be best learned through a mix of classroom practice and workplace experience. The classroom is one place to become familiar with the “world of work skills,” Zimmers says, including listening, conflict resolution, empathy, working with and considering the needs of others, along with responsibility and accountability for actions. Learn more about building hard and soft skills at Shoreline.edu.